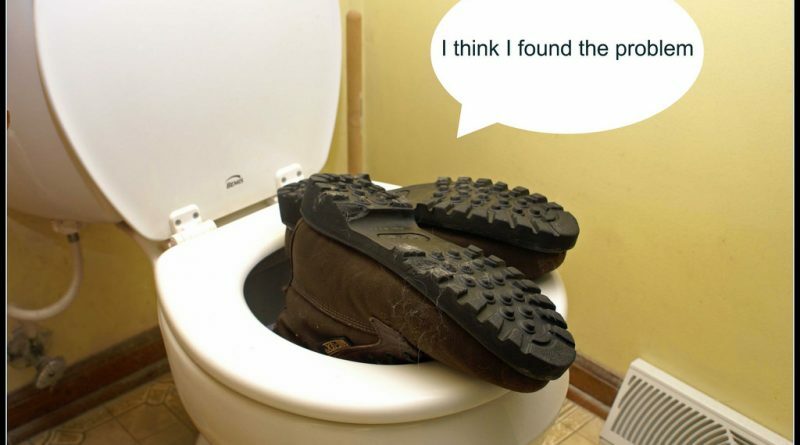 The thing about bathroom renovations is that they have a tendency to interrupt the daily schedule you are accustomed to. Not only that, but bath reno’s cost money and can sometimes be quite a time consuming and involve a lot of work. Therefore it would make a lot of sense to thoroughly plan out your remodeling project before you take on such a large endeavour. When planning a new bath, a good strategy will bring to light problems you might later encounter with your design ideas. Another plus of strategic bath planning is that your new ideas may even reveal positive solutions and suggestions about the direction you should take to resolve these flaws in your original thinking. At this stage, it is a lot easier to reconsider your project’s direction than in the middle of the construction process when it might be too late to deviate from your original plans. The first thing you must do when planning a new bath is to put together your objectives. The purpose of this result sequencer is to create a direction for your reno that you can use as a sort of remodeling compass to make sure your construction progress is on schedule and on course. Essentially you are creating a list of results you would like to accomplish when your remodeling project is finished. To ensure good usable results, you must not be too narrowly focused when summarizing your goals. At this stage keep your goals fairly open because you don’t want to be locked in with only one goal in mind. For example, if you have always wanted a sunken tub to soak in your washroom because you think it is fashionable, that should not be your only focus at the planning stage. 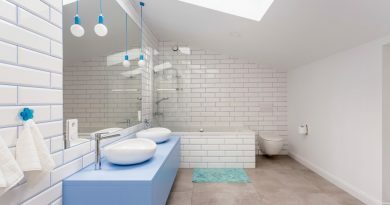 Not only do your bathroom’s design elements have to work together, but you also have to evaluate your current budget and space restrictions realistically. To examine this narrow proposition even further, how realistic would a sunken tub be in your basement or top floor? If you frame your objective as “I want a more comfortable tub” instead of being so specific, you may miss on the opportunity to find a better solution for your needs. For example, a built-in alcove tub may be more truthful to your spatial needs because they’re finished only on the sides that show. And to further the argument even more, because they rest against a wall, built in tubs take up fewer square footage which helps you meet accessibility standards and also helps to facilitate traffic flow in your lavatory. If you do have space, you can simulate the feeling of a sunken tub with your drop-in tub by adding a surrounding deck to provide an interesting design element as well as seating to create a very elegant layout in your bathroom. Once you have come up with your remodeling objectives, you need to establish must-haves for your bath. Group these necessities into categories such as fixtures and construction alterations then prioritize the groups. When planning a new bath, this will establish the order of things to do first to fit within your budget. To get a better feel of your bath design ideas, draw up a floor plan of your existing space and using a bathroom design program such as Plan3D where you can sketch in design ideas that summarize the goals defined in your remodeling objectives. With a program like Plan3D, you can easily draw up new scenarios and compare each layout idea. 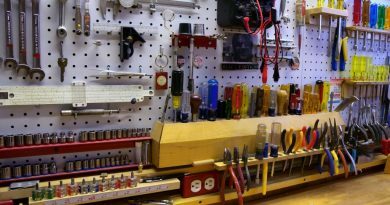 You can even combine different schematics to come up with an original layout that you would never have thought of. Planning out a new bath can solve problems before they even begin. First, come up with what you and your family hope to accomplish once your bathing space is remodeled. A wish list is a summary of everything that you want to be changed. Categorize and prioritize your needs to establish what your budget will be allocated to first. And remember if you feel uncomfortable planning a new bath, you can always get planning help from the professionals even if you plan on doing the construction work yourself. The bottom line is “you must plan to succeed” if you don’t, who knows what unforeseen obstacles and renovation disasters may occur because you didn’t see it coming. 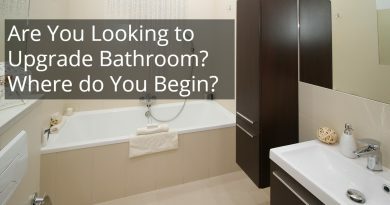 Are You Looking to Upgrade Bathroom? Where do You Begin?